We stock a choice of high quality gas torches suitable for jewellery making, for both precision and larger soldering work as well as using to fire metal clay. 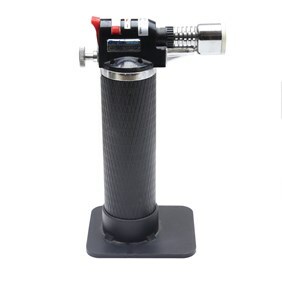 We provide two brilliant gas torches for both precision and large soldering work for jewellery making. The Jewellers Gas Torch has a small and easily controllable flame, which is great for soldering associated with jewellery making. The small flame helps you solder small pieces such as jump rings and chains. 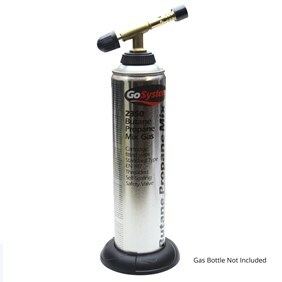 The GoSystems Tech Torch is also a brilliant torch which has a larger flame than our smaller torch, suitable for soldering larger items such as chunky pendants or bangles as well as using with metal clay. Shop our extensive range of soldering supplies, with everything you need to get started. Choose from our selection of solder strip, paste, flux and range of tools needed for your soldering needs. Read our soldering tutorials and advice pages for more information on soldering for jewellery making. We also have a range of jewellery making books, which provide great resources for soldering guidance and advice. These torches can also be used alongside metal clay. At Kernowcraft, we provide a range of metal clay supplies including Art Clay, PMC paste, PMC syringe, moulding compound, files, metal clay moulds, brass brush, rolling pin and more. Read advice on using a gas torch to fire metal clay here.